Home » YouTube » What is 360 Degree Virtual Video Tour? For any business, 360 Degree Virtual Video Tour helps in boosting web visitor retention and sales. It allows the visitors to interact with the products and services without ever leaving your website. There are many uses for using virtual tours for the business. These can provide detailed visual information. It opens the services to the public online. People love to take virtual tours, and these can effectively influence the buying decisions of the people. These are interactive, and the prospective customer can choose which image they want to view. How to Create Custom Controls for HTML5 Video Player? How to Embed and Share 360 Degree Virtual Video Tour on your Website? How to Add 360 Degree Video to UNITY? The first thing one has to do is to write HTML for video and the controls. Create play/pause, mute and full-screen buttons and two sliders. With HTML video player there is no need to use any external plug-in for video playback. Multiple interactions with video and other elements can be created. Creating a 360 degree video is a big task, and the next common question asked by content creators is where and how to upload or embed the videos on the website. 360 degree videos are supported by Facebook and YouTube and to embed them on websites is an easy task. There are some tools available online which make embedding the videos on the website easy. Google VR View is another easy way to embed 360 degree videos into websites. Google instructions are available for doing this. UNITY is the leading platform for playing 360 videos. Unity allows importing .mov, .mps, .mpeg, .mp4, .avi and .asf files. We will need a supported video that contains 360 video content, and this has to be imported as an asset in Unity and then play it through video player component. It is important to target the video player to render the texture of the video dimensions. Connect the texture to Material set to use Skybox/PanaromicBeta Shader and use this as Scene Skybox Material. Now turn on the Virtual Reality Support Player setting and use VR headset to watch the full 360 video. Video codecs deal with the compression of the files. There are two kinds of compressions, and these are lossless and lossy. A Codec which is needed to compress a video is software, and the common codec include h.264. This is a standard of compression. One of the most popular codecs is the MPEG codecs. These proved the high-quality video and sound. H.264 codec is another popular codec and is the best choice for HD video. DivX is the commercial codec. Every video file also has a container in addition to a codec. This container contains the video, audio, and metadata such as SEO, captions, etc. These seen as file extension names such as AVI, .MOV or MP4. High definition video standard now is the MP4 h.264. There are different video formats, and these are the file formats used for storing digital video data. There are different types of video formats, and these include the .flv or flash video format, .avi format, MP4 format, MPG format, 3GP file extension.MOV format and the RealVideo Format. When creating videos for websites, it is best to use the HTML5 output as this is small size and streams easily. When looking for HTML5 players, one has to consider few factors such as their fastness, responsiveness, easy to install and they’re compatible with the browsers. HTML5 players can play YouTube and other videos with ease. These can be integrated into the web applications. 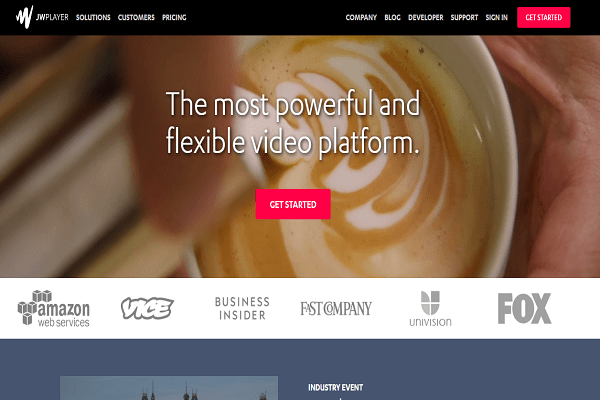 VideoJS is one of the top best online video players when it comes to using it freely. It is a free and open source html5 video payer. JW Player offers many features and is highly customizable. It also has an integrated API. Through its add-ons, it also offers features such as closed captioning and social networking tools, etc. YouTube can play the videos in any browser. For this one has to create an account with YouTube to access the HTML5 based video player tool. This is simple to use and is free. This supports all file formats and works for any browser. 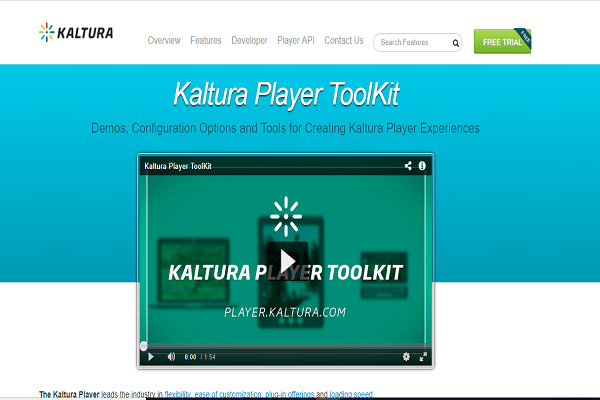 Kaltura HTML5 video player is also an open source and free video player. This offers multi-platform support. Plyr is another best HTML5 Player and it simple and light. This player is responsive, customizable and can play embedded videos. Projekktor is another open source video player. This is user-friendly and is the most reliable solutions for playing HTML5 videos. 360 Degree Virtual Video Tour increase the number of visits to the website. Prospective customers will spend more time on the website. These also prove to generate sales in less time. Businesses irrespective of site and size are having an online presence and are using 360 degree video to deliver dynamic visual content to their visitors so that they can better understand the products and locations. What is the Best GoPro for Vlogging?